The professional software solution from Type3 designed for laser machines. Lasers have become a high technology tool used to create the most precise details. 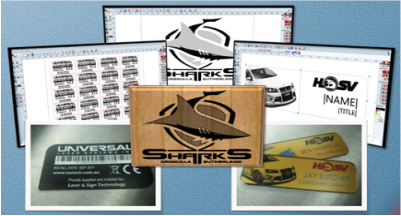 LaserType V12 brings you professional solutions for logo engraving, surface decoration and bas-relief sculptures. It is upgrade-able from 2D to 3D, so whether your need is graphical or technical, there is a LaserType configuration to meet your needs. LaserType V12 is compatible with most professional laser machines.